Tell us your wishes, how many days you want to dive and we will help you pick the dive sites, the best itinerary; and make up a package price to suit your wishes. “Double” Cenotes: Dreamgate or combinations of 2 different cenotes including Chikin ha, Chac Mool, Eden, Taj Maha, Casa Cenote. 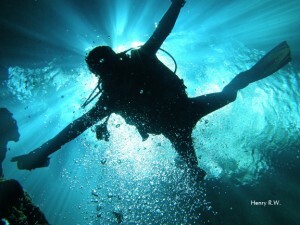 We can help you to plan your dive vacations in the Riviera Maya. We offer you a very large selection of the best hotels and condos in Playa Del Carmen. All of them are located close to the dive center and also near to/on the beach. Different options available for all kinds of budgets. Just follow these 5 simple steps and we’ll give you a quotation for your diving and accommodation package. Choose one or more of the hot deals diving packages above. Tell us about you: How many people in your group? Which kind of room / accommodation you need (number of beds, number of rooms)? Any non diver traveling with you? We guarantee you a special discount from the normal front desk rate. 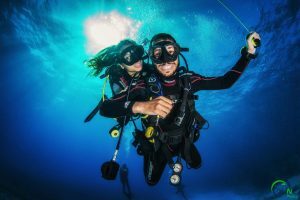 Guiding by a professional & multilingual PADI divemaster or instructor. Boat dives in Playa del Carmen and/or Cozumel. For the Cenotes, transportation from the dive shop to the Cenotes. Entrance fees for the Cenotes park and Cozumel marine park. In Cenotes: lunch and drinks in a typical Mexican restaurant after the dives. In Cozumel: bottled water, juice and fruits on the boat. Lunch in Playa and Cozumel. Round trip ferry tickets for Cozumel. Dive packages are available at a reduced rate based on pre-booking multiday dive trips. 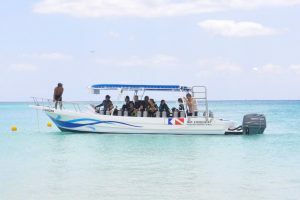 If there are cancellations to one or more dive days, you will be charged the full published rate for the dives you have done and you will get a refund of whats remaining. 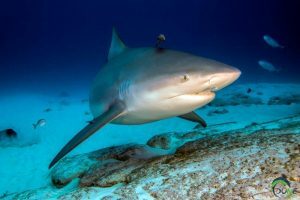 Refunds are not given for no shows or cancellations made within 24 hours of scheduled dive time. A rescheduling fee of $35 may apply to changes to dive trips within 24 hours of dive. Please read our Terms & Conditions before your book. Although we try to get you new dive sites each day, weather and other factors may limit the sites we can visit. Expect to dive some sites more than once.